Seniors around the world are suffering with improper dentures. Edentulism is one of the most common ailments afflicting seniors all around the world. Many seniors around the world are suffering the health and social effects of tooth loss because they can’t afford minimum standard of care when it comes to complete dentures. Very often patients say that financial considerations are forcing them to endure less-effective treatment that can profoundly affect their quality of life and health. It’s unfortunate that there is a disproportionate number of people who have no teeth who also have a reduced budget. Many people never had the money to take care of their teeth in the first place, and now they feel like being punished again because they can’t replace them. Edentulism might not exactly roll off the tongue, but it is one of the most common ailments afflicting seniors all around the world. Some studies indicate that more than one in five people over the age of 60 have no natural teeth, a situation the World Health Organization considers a physical handicap. “We had to cook everything in a certain way or I couldn’t eat it. Family outings were a problem because of that, I couldn’t smile. I felt insecure and embarrassed. I didn’t want to be a bother so I told them to go out without me. I often felt sad and alone” – Said one of our patients. After a lifetime of problems with his teeth and costly dental treatments, he had his teeth pulled more than 20 years ago and replaced with standard dentures. He quickly discovered his new dentures would not stay in place, a problem that can be exacerbated by the loss of bone that inevitably occurs once the teeth are lost. Tooth loss is primarily caused by cavities, gum disease and trauma. Hundreds of medications can damage teeth. Normally, public or private insurance covers extractions, especially if they’re deemed medically necessary. In most cases, any coverage disappears along with the teeth on the grounds that dentures are cosmetic, despite numerous studies to the contrary. Also, the loss of all natural teeth can lead to changes in eating patterns, nutrient deficiency and involuntary weight loss as well as speech difficulty. More than half of adults between 60 and 79 years of age have no dental insurance at all. Those who have private insurance usually discover implants aren’t covered. And at the low end, a set of dentures on just two implants will quickly top $20,000. At the high end, a complete set can run close to $60,000. People who want even a minimal implant are forced to do without, take out loans or borrow from family. Others spend years saving, sometimes only to discover bone loss has made implants no longer possible. With Snap in Dentures, you can forget about all that. Our Snap in Dentures are placed over 8 mini implants, and most people are good candidates despite bone loss. 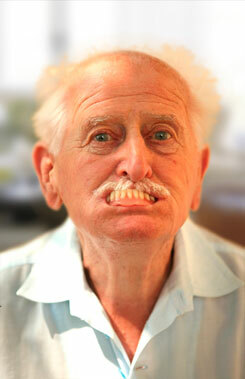 One of the most important things of our dentures is their great anchorage so they will not fall. The mini implant dentures are also minimally invasive and do not cause any discomfort or pain and the healing time is also extremely fast. The best part of all this is of course the price. You will save up to 70% of the cost in your home town! You will have a life change experience and will also have time to enjoy amazing vacations at the beach. Start a new life experience today. With Snap in Dentures you will get a strong steady bite and an amazing, secure and confident new smile! Get in touch with us so we can look at your x-rays and give you a FREE EVALUATION!